I never knew that tuna fish could taste so good. After I made this, I’ve been constantly wanting to make it again and again. 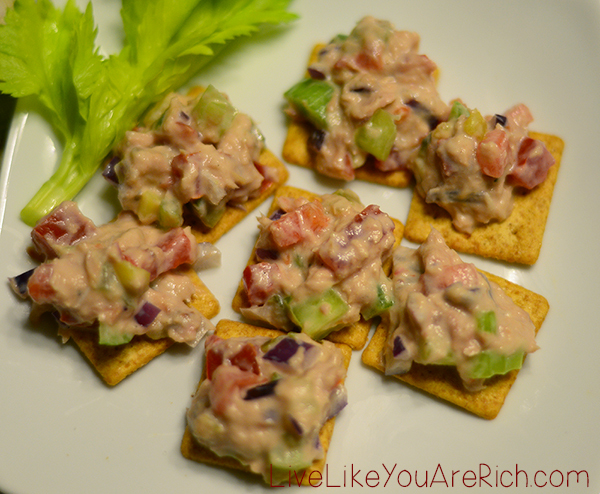 We actually get cravings for tuna fish salad… Something I previously thought was impossible. 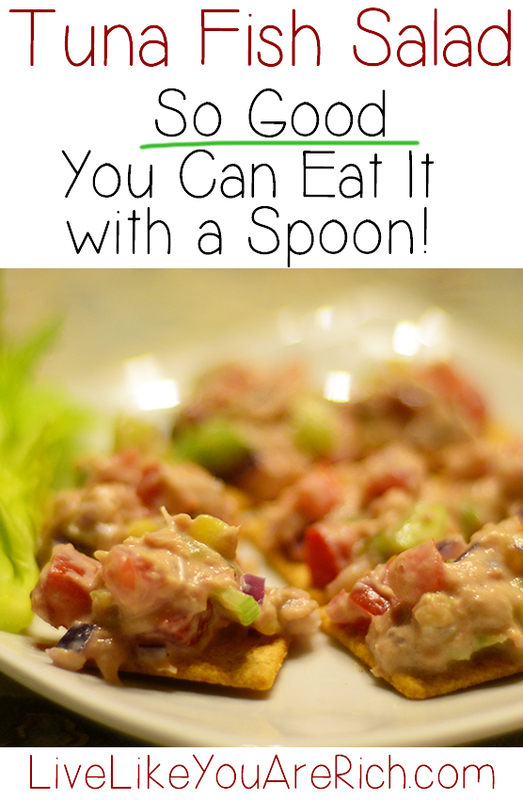 It only takes about 10 minutes to make and serves 3-4 adults. 1. Dice/mince up vegetables and add all ingredients together in a bowl. Stir well. 2. Serve and Enjoy! Refrigerate left overs… if there are any! 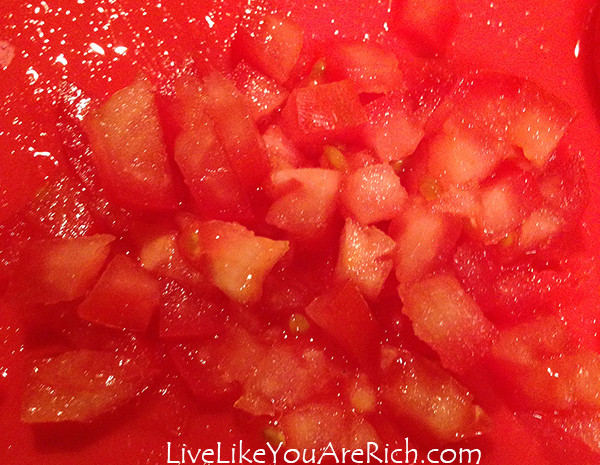 I prefer to eat this with a spoon for a low-carb meal. For a more substantial/filling meal I eat it with crackers or as a sandwich with bread. It is amazing! 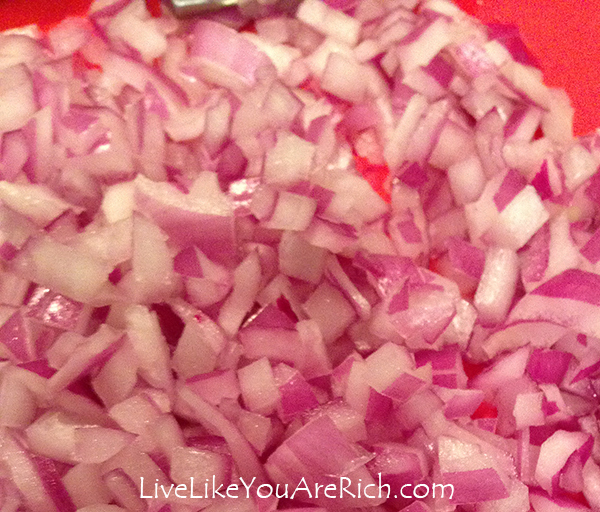 This is an awesome recipe with tons of healthy ingredients, flavor, and color. Dice/mince up vegetables and add all ingredients together in a bowl. Stir well. Serve and Enjoy! Refrigerate left overs… if there are any! 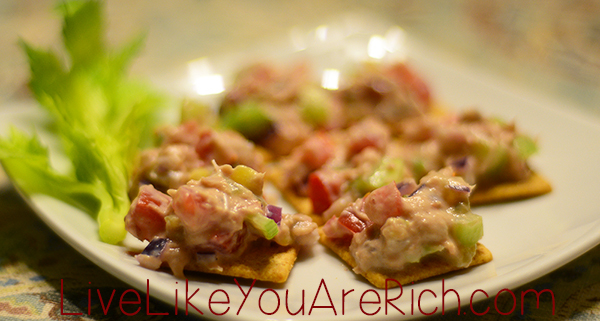 Your yummy recipe definitely caught my eye – I just love tuna fish! Stopped by to pin your recipe and do some extra sharing. Also I wanted to let you know I’m featuring your recipe on #FoodieFriDIY this week as a feature, so make sure you stop by and link up again! Wow – this looks absolutely amazing! I”m stopping by from Thursday favorite things blog hop. This looks amazing. Now I have a craving for tuna salad.